Over the last couple of months we’ve seen a definite shift in direction for Nike, particularly in terms of how their products are branded up. 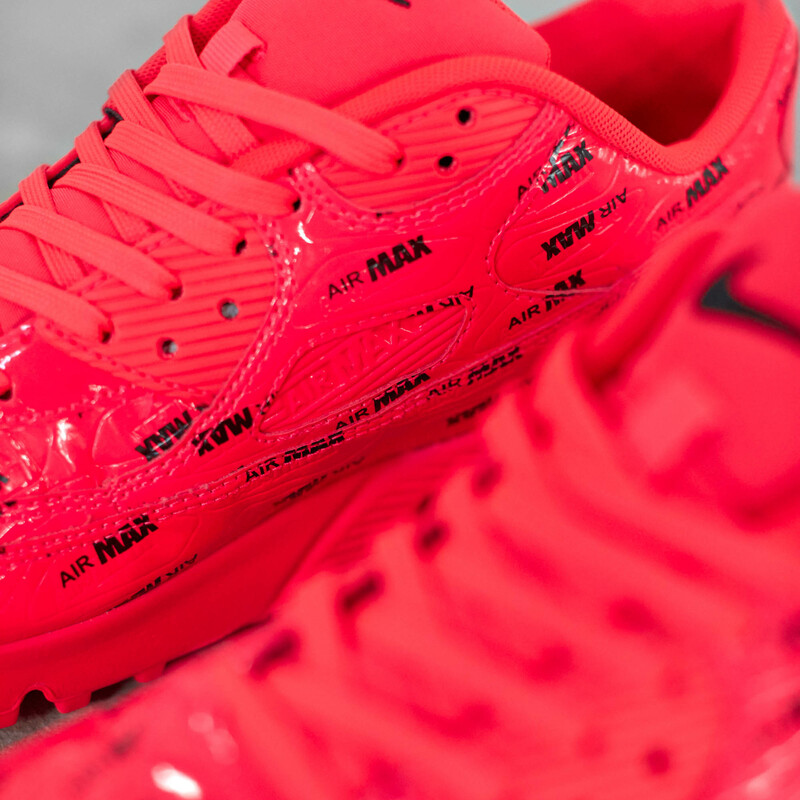 Traditionally it’s been very regimented, and in the past to even have more than the signature swoosh across the sidewall was almost unheard of bar a few limited Air Max 1 releases with their mini-swoosh additions. 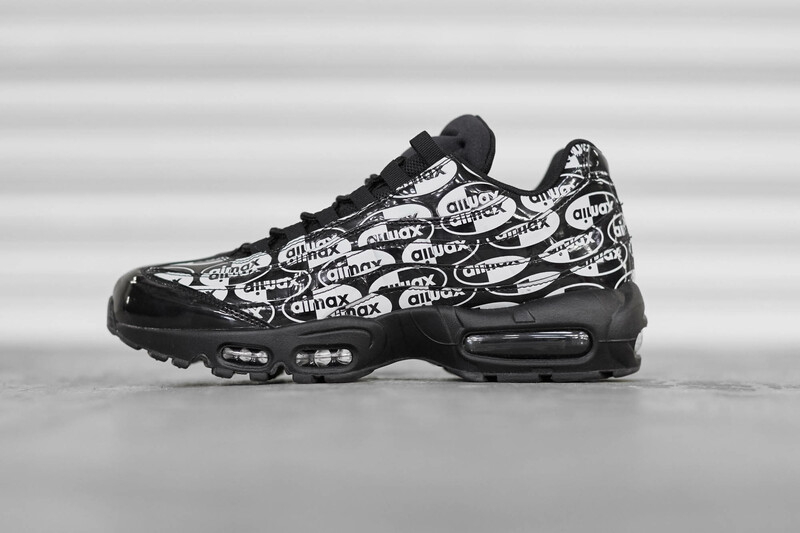 Following on from the over-branded ‘Just Do It’ pack comes another in-your-face rendition of two of Nike’s most celebrated shoes from the Air Max Family. 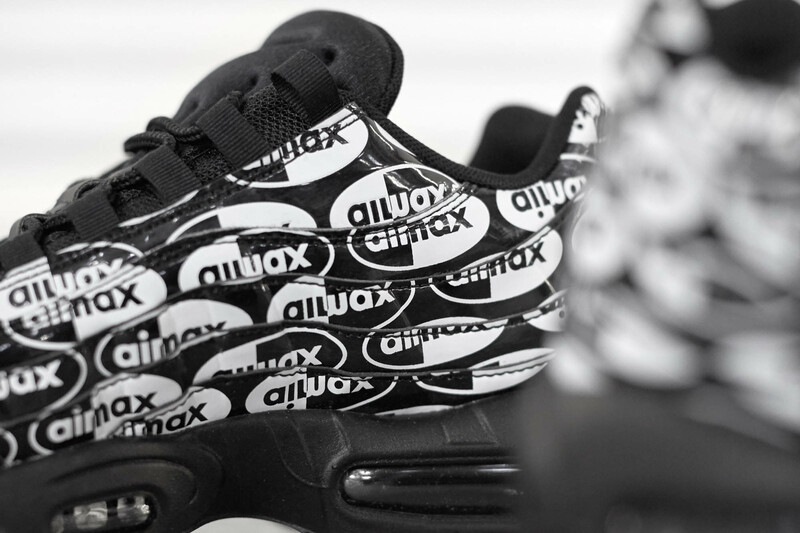 Both the Air Max 90 and Air Max 95 have always had their own variations on an ‘Air Max’ logo imprinting into every release, wether it be embedded into the sidewall and stitched into the tongue. 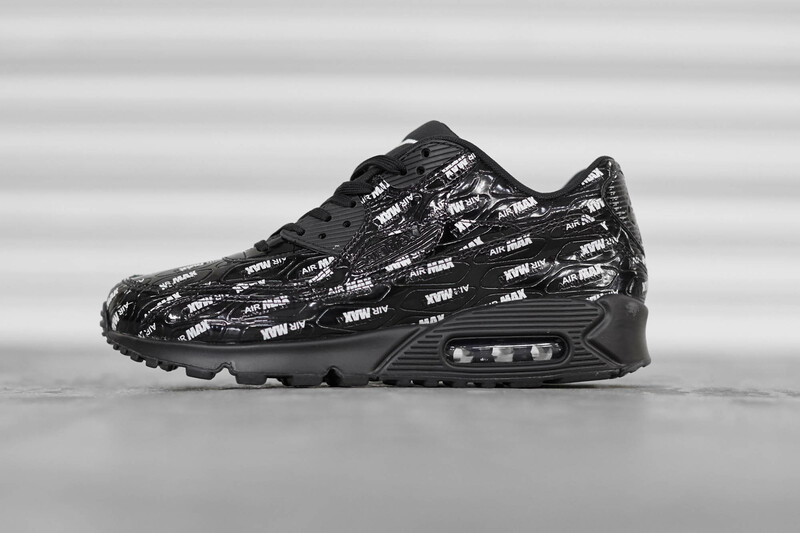 This time around these emblems have been replicated all over each release, debossed into the patent leather uppers. Both shoes are also devoid of their side-swoosh, with it instead being stitched into the tongue panel. 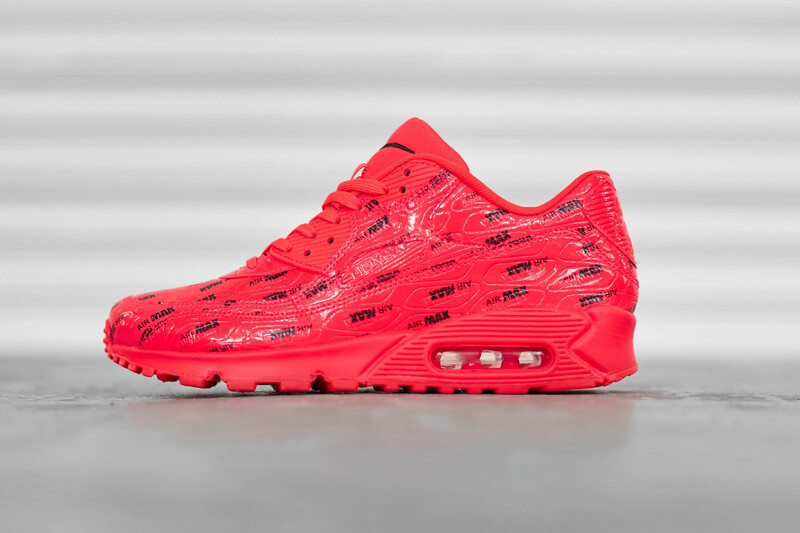 Colour-wise, the pack is de-saturated aside from the second Air Max 90, which pulls it’s iconic ‘Infrared’ hue and stretches it across the entirety of the shoe. 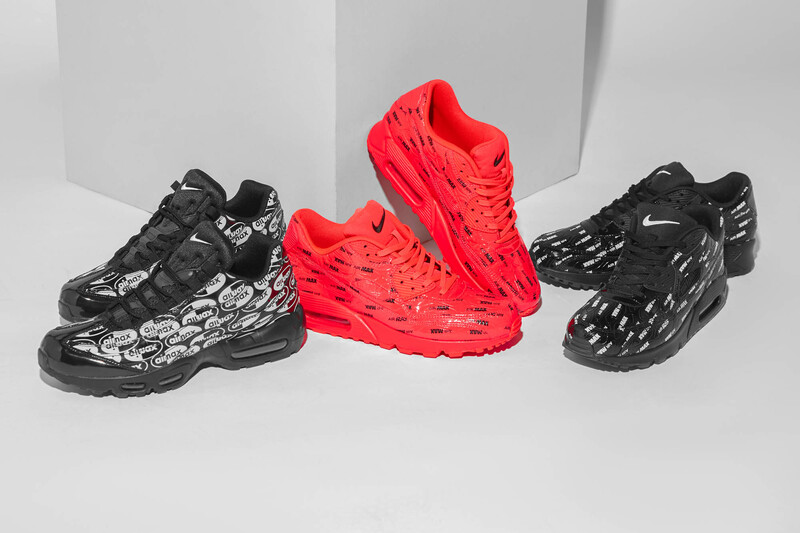 All three shoes from the Nike Air Max ‘All Over Print’ Pack will be available via the size? previews app and in size? 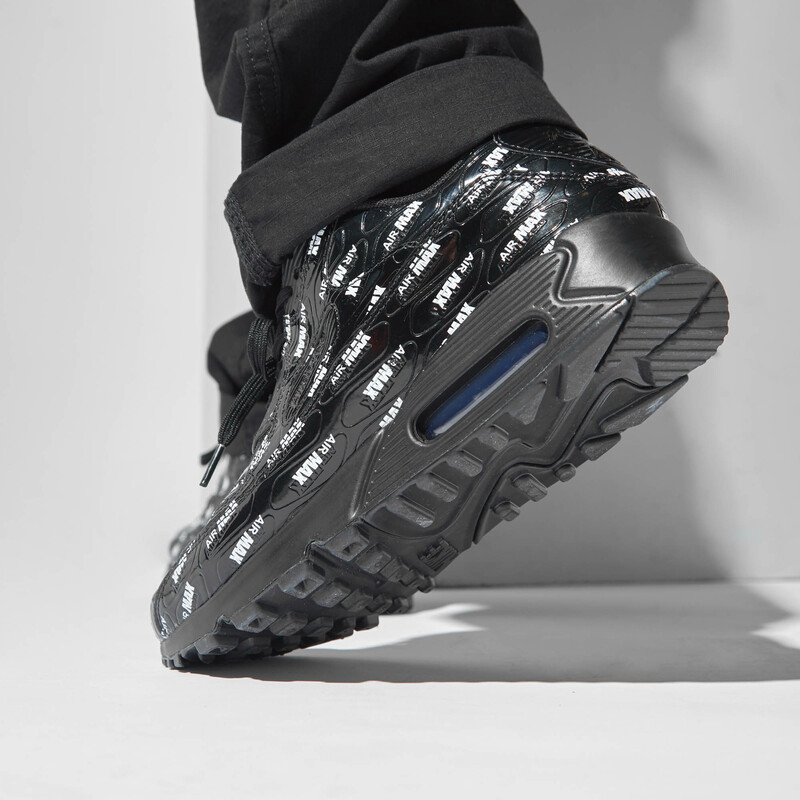 stores on Thursday 6th September, with the Air Max 90 priced at £110, and the Air Max 95 priced at £140.